This is almost identical to the legacy feature called Procure Access which was discontinued on December 5th 2018. This feature is only available via feature flag switch, so if your domain does not have department column next to location column inside: Manage Users -> Select a User -> Roles and Permissions, please contact Support or your Customer Success Manager to discuss on gaining access. Note that once turned on, it will require time to set it up for all users and will disable all procurement for the users during the set up. This feature might not apply to all domains, so please discuss with a Procurify member for more details. 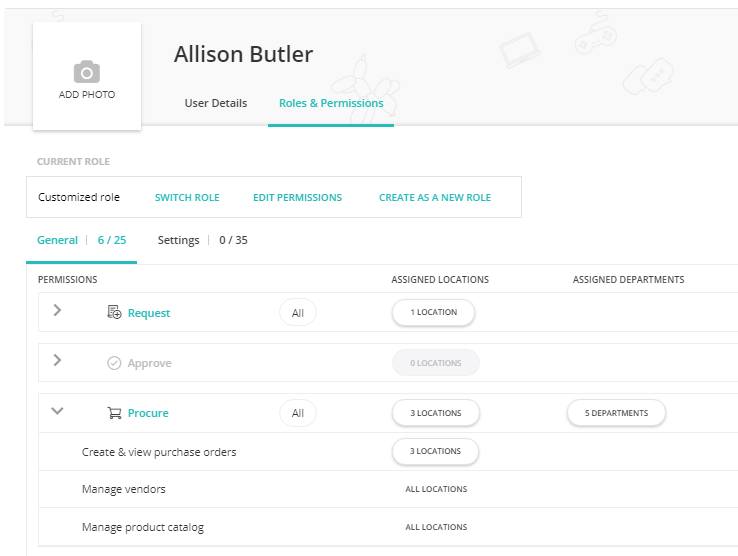 Currently this feature allows set up for each user on 1 by 1 basis, so you must go into each user's roles and permissions to set up this functionality for each user. 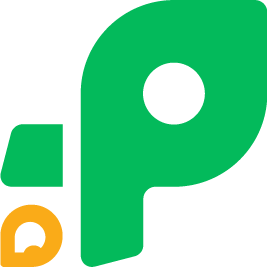 Make sure you have Procure by Department turned on by one of our Procurify team members. Make sure this user has Procure tab permissions. If not, click on EDIT PERMISSIONS and add the Procure permissions. Note: Make sure to add at least 1 department to Procure, since by default the department assigned will be 0. Please feel free to reach out to the support team for any questions.